Create a personal plant list by logging in or registering today! Please register or login to build your personal plant list. 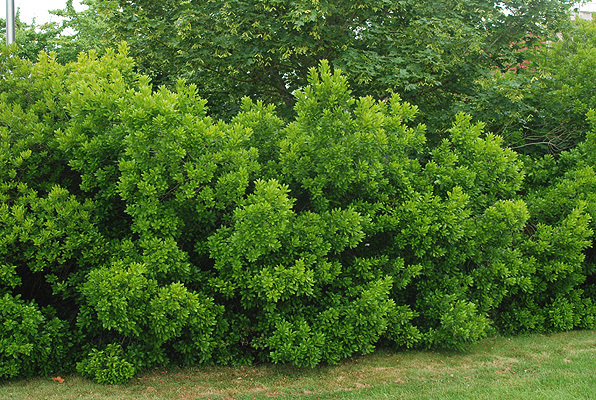 Northern Bayberry is a densely branching, evergreen shrub. It is dioecious, with male and female catkins on separate plants. The fertilized female flowers are followed by tiny, round, waxy, gray fruits, which persist through winter. The waxy coating is used to make candles, scented by the fragrance of the crushed leaves. The berries are an excellent food source for birds. Northern Bayberry is an important host plant for larvae (caterpillars) of the Columbia Silkmoth (Hyalophora columbia). 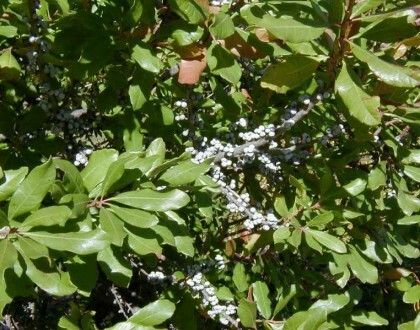 Use Northern Bayberry in mass plantings for your shrub border or for naturalized areas in your yard. Its salt tolerance makes it an ideal choice for a seaside garden. Locate a native plant nursery near your home or property. Additionally, learn about online resources where plants can be purchase. A variety of resources to help home and property owners learn about environmentally sound landscaping techniques. Read how some landscapers and homeowners are putting Jersey-Friendly Landscaping into practice.